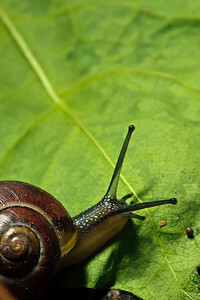 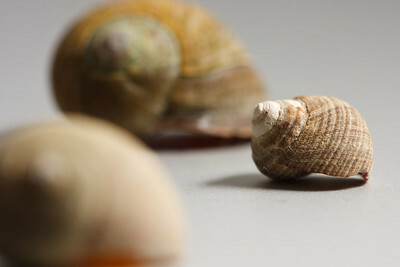 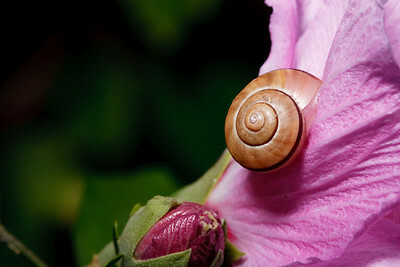 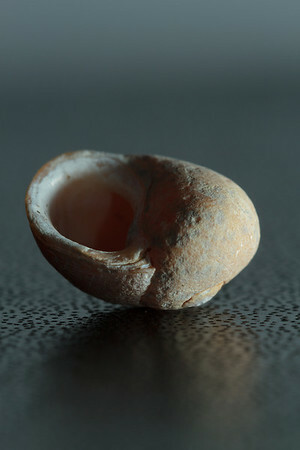 Close-up photographs of snails and slugs. 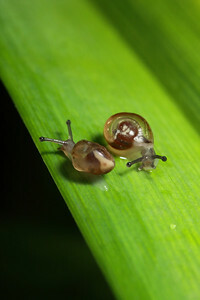 Two very tiny snails cross paths. 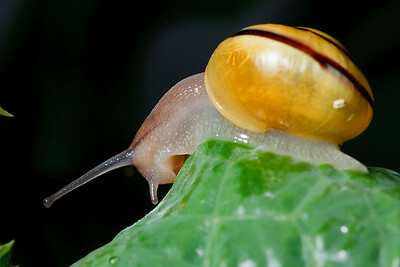 A small, young garden snail crawls over a wet leaf after a rainstorm. 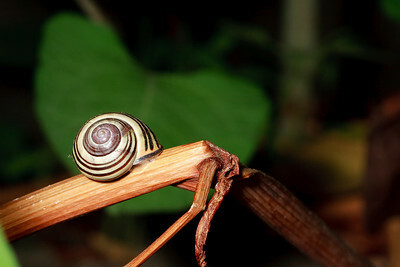 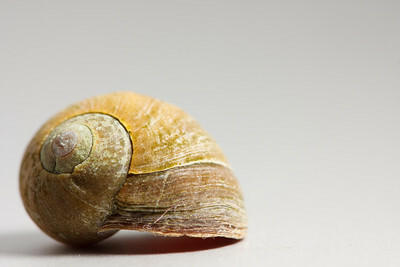 A garden snail (Helix aspersa) crawls across a fallen leaf. 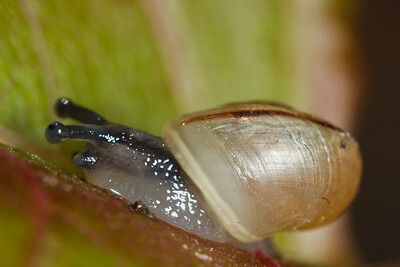 A young garden snail (Helix aspersa) on a sumac bush.